Two weeks ago, Neville retained his title at Wrestlemania. Last week, Austin Aries became the number one contender again. Good match. Ali looked good early, but Kendrick managed to keep him mostly grounded with some dirty tactics. Kendrick was on his way to winning before Akira Tozawa appeared at ringside and rang the bell prior to the match being over. Drew Gulak also appeared in the back, watching the match on a monitor and appearing to disapprove of his style, but his presence didn’t affect the match (other than slight distractions for viewers). Akira Tozawa gets on the mic and tells Kendrick lesson number two: appearances can be deceiving. Dasha Fuentes asks TJ Perkins if he’d like to comment on attacking Austin Aries on RAW. Perkins says that he’s the victim here, that Aries stole an opportunity from him. Jack Gallagher walks up and suggests that Perkins start acting like a gentleman. Kind of a squash. Unsurprisingly. After the match, Swann gets on the mic and is about to explain why he’s been iving gifts to Alicia Fox when Noam Dar comes out and interrupts. Dar calls Swann a liar, saying Dar is the one who has been sending Fox gifts. The two men get in each other’s face when Alicia Fox comes out. She too calls Swann a liar and then paraphrases Billy Madison (“I’ve seen you looking at me, Swann!”). A courier makes his way to the ring with another gift for Fox. Dar claims it’s from him and tells Swann to leave the ring. Dar gives the gift to Fox. She opens it and gets a face full of powder. Swann laughs, and Dar treads very carefully. Fox is quite upset. Dasha Fuentes welcoes Austin Aries and asks his for a response to Perkins’ attack. Aries says Perkins is suffering from a severe lack of judgment. Neville just wants a puppet, but Aries is the puppet master. Great match. There were some really great and fun exchanges in this match, and it felt like both guys took a ton of very real punishment. This was a great showing of technical prowess for both guys, and a testament to how good both guys are are telling a story in the ring. This could have easily been a PPV match. 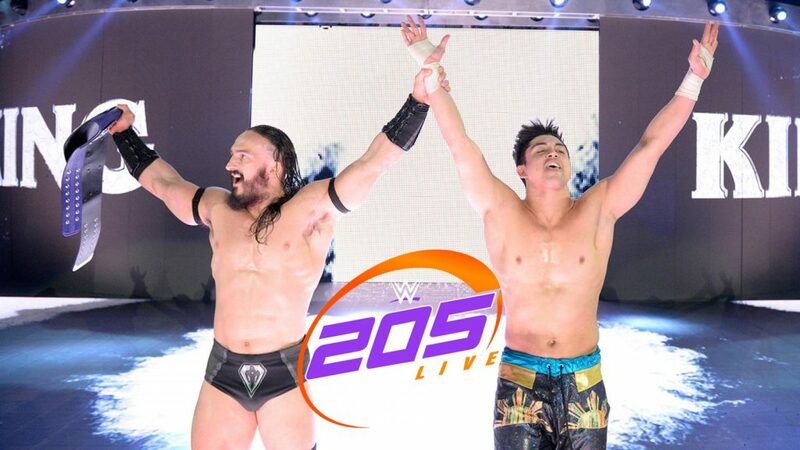 After the match, Neville comes out and raises Perkins’ hand. Good show. The main event was great, the Swann/Dar/Fox segment was entertaining, and the opening match was fun. I was ready to claim the triple threat from SmackDown as the best match of the week, but this one is at least in that conversation. Very good match.